Two horses competing at the Alltech FEI World Equestrian Games in France have tested positive for controlled substances. Samples taken on August 28 from the horse Tra Flama, ridden in the endurance race by Giliese de Villiers, of South Africa, returned a positive result for phenylbutazone and its metabolite oxyphenbutazone. Phenylbutazone, more commonly known as bute, is a non-steroidal anti-inflammatory commonly used for the treatment of pain. Tra Flama was vetted out at the second vet gate during the race. The other horse was Qalao des Mers, ridden in eventing by Maxime Livio, of France. 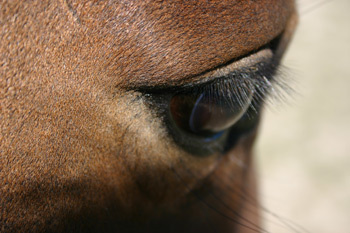 Samples taken from the horse on August 29 were positive for a sedative, acepromazine. Qalao des Mers was fifth individually and was a member of the fourth-placed French team. FEI Secretary General Ingmar De Vos described the positive tests as disappointing, given the awareness campaign run by the FEI before the event and the offer of pre-arrival testing. “It is the first duty of a regulator to ensure clean sport and a level playing field and we do this by conducting an ongoing and very comprehensive testing programme,” he said. “We had clean World Equestrian Games in 2010 in Kentucky and at the Olympic and Paralympic Games in 2012. Our system works and sends out a strong message to our athletes and their entourage that clean sport is our absolute top priority. “We carried out an intensive awareness campaign prior to the Games and also offered pre-arrival testing to all participants, so it is very disappointing that we have two positives for Controlled Medication substances at the Games, especially when it is well known and well accepted that both these substances are not permitted in competition. Controlled Medications are classified as substances that are regularly used to treat horses but which are not allowed in competition in order to maintain a level playing field. The FEI has confirmed that all equine samples taken in the first week of the Games in dressage, para-dressage and reining were negative, and that there were no other positives in endurance and eventing. A total of 137 horses were tested in the first week of the Games – 49 in Endurance (28 percent of the 173 starters), 24 in eventing (26 percent of 91 starters), 22 in dressage (22 percent of 100 starters), 21 in reining (26 percent of 82 starters) and 21 in para-equestrian dressage (21 percent of 100 starters). In addition to random testing, the FEI conducts compulsory testing of all individual medal winners at the World Equestrian Games, and at least one horse from each of the medal winning teams. To ensure the integrity of all processes, representatives of the Equestrian Community Integrity Unit, including Chairman Lord Stevens, have been on-site throughout the Games. The above Controlled Medication positives will not result in an automatic provisional suspension, but will go before the FEI Tribunal after the Games at a date to be agreed between all parties. World Equestrian Games cases are not eligible for the FEI administrative fast-track procedure. As at the Olympic Games, a positive result for a team member can result in the disqualification of the whole team. In the Qalao des Mers case, this could mean disqualification of the French Eventing team and loss of Olympic qualification for Rio 2016. It is the role of the FEI Tribunal to rule on what sanctions apply. As part of its Clean Sport campaign, the FEI offered all national federations the opportunity to have a full screen pre-arrival testing for horses from July 21 until two weeks’ prior to arrival at the Games. Additionally, elective testing for specific Controlled Medication substances was also offered close to the event. All equine samples taken before and during the Games are tested at the FEI Approved Laboratory in Paris. Testing is conducted at the laboratory using a bar-coded system, which guarantees anonymity.